Apologies for the delays in getting this Choicest VGM post out (it's not quite VGM Monday any more, at least where I am!) 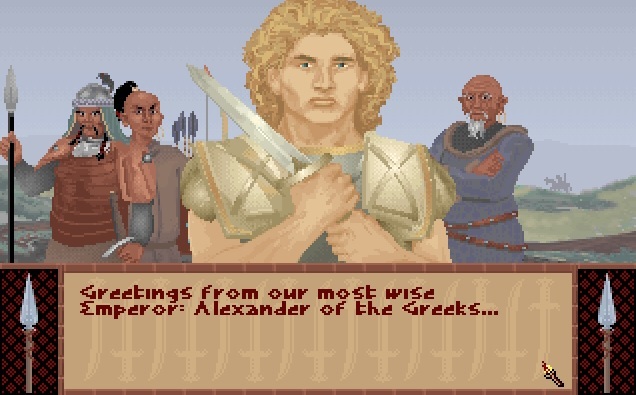 but here we are treated to another track from the original Civilization: the Greek theme, played whenever you have a discussion with Alexander the Great (or whenever you play as Alexander the Great and want to add to your palace). The track was expanded upon and included in the Civilization II soundtrack where it's also known as "Aristotle's Pupil".